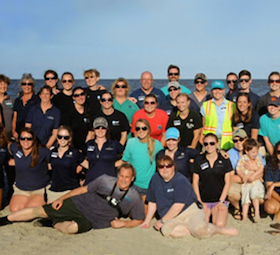 The vast majority of the sea turtles that strand on Cape Cod late each autumn are young Kemp’s ridleys, the most endangered sea turtle species in the world, but early last December, a much older and larger Kemp’s washed up in Truro leading veteran biologists to ask, “What are you doing here?” That Kemp’s was a late adolescent, and that age group is rarely seen north of the mid-Atlantic. 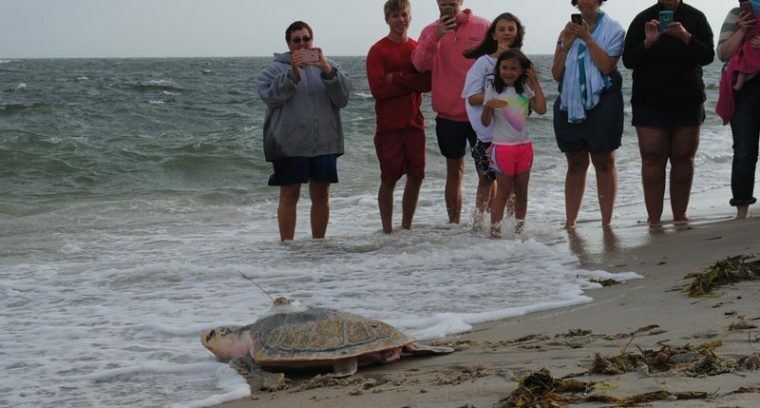 Bob Prescott of Mass Audubon has been rescuing sea turtles on Cape Cod since the 1970’s, and he had never seen a Kemp’s that old in New England waters. 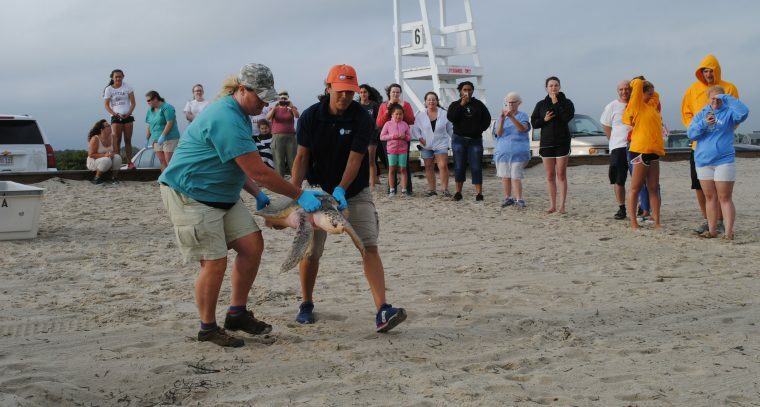 After nearly eight months of rehab at the New England Aquarium’s sea turtle hospital in Quincy, MA, that much healthier and heavier turtle was released Thursday evening at West Dennis Beach on Cape Cod by New England Aquarium rescue staff and volunteers. 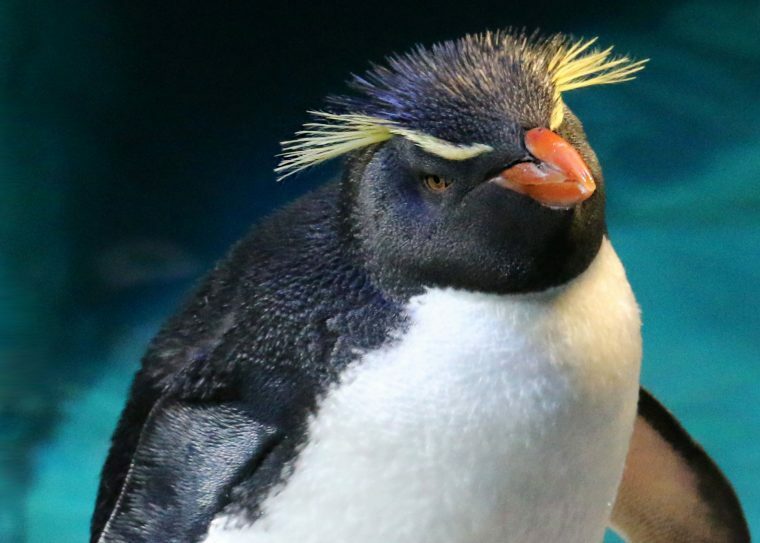 Biologists still do not have a clear idea of why it was so far out of its normal range, but they outfitted it with a satellite tag that will track its movement over the next few months. 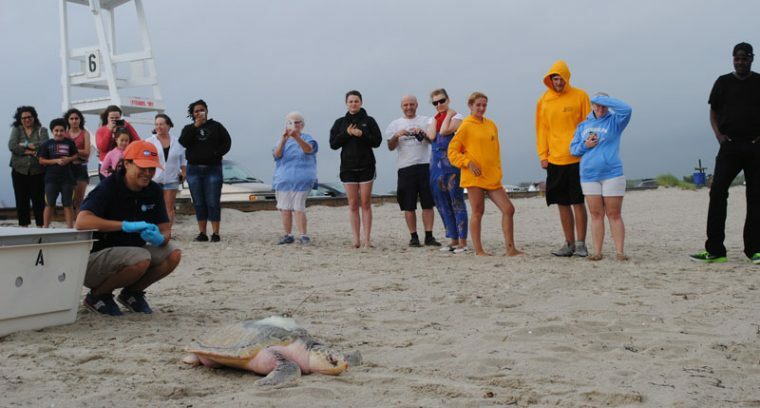 The public can also follow its travels at www.seaturtle.org. 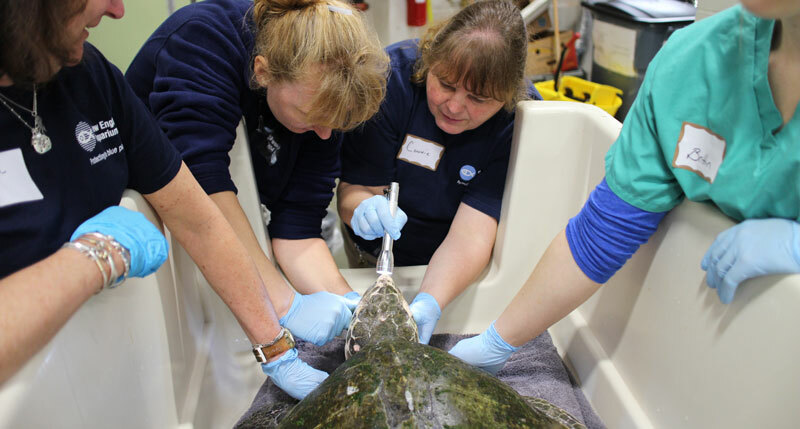 Rescuers Connie Merigo (with flashlight on right) and Julika Wocial (immediately to her left) examine the turtle soon after her arrival in December 2015. 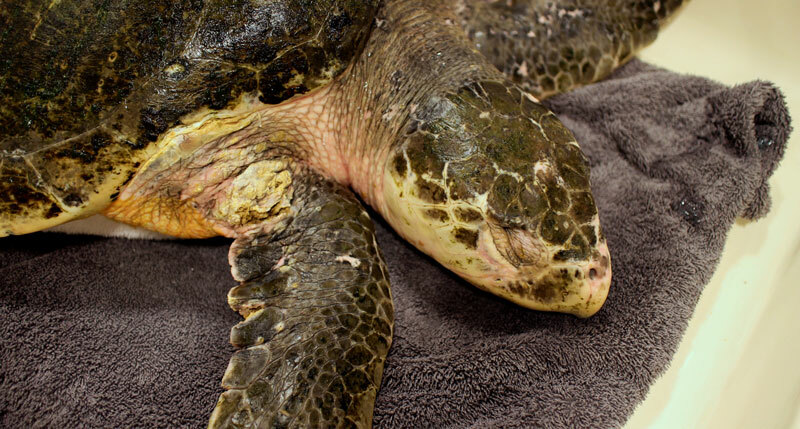 When first admitted, the hypothermic sea turtle was near death with multiple medical complications. 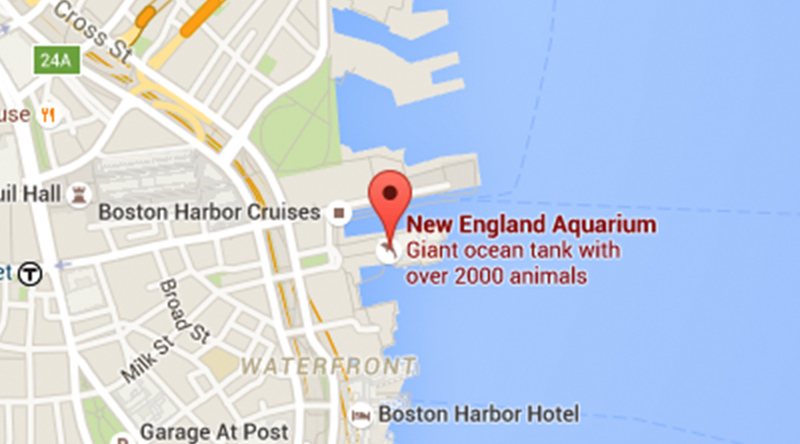 Connie Merigo, head of the Aquarium’s rescue team, said, “She was dehydrated, almost unresponsive at in-take. The first three days, we were not sure she was going to make it. 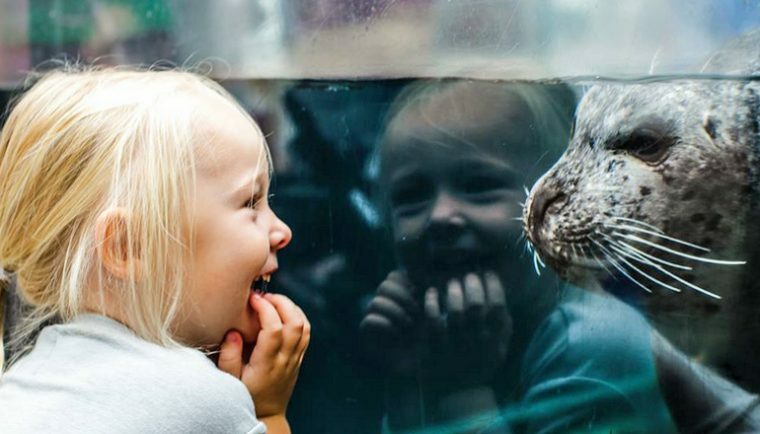 She didn’t eat for about a month.” Eventually, her appetite slowly increased, and her weight went from an emaciated 40 pounds at her rescue to a more robust 55 pounds at release. 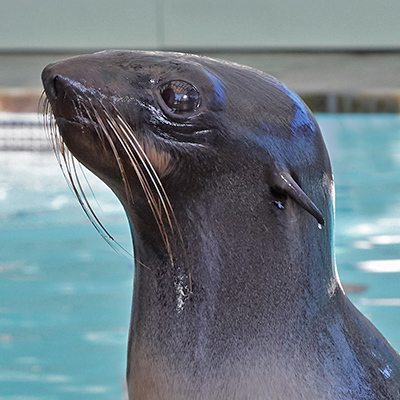 Along the way, she battled a chronically abscessed and severely enlarged front flipper as well as an eye infection. Merigo emphasized that this Kemp’s was biologically an extremely valuable animal – a near breeding age female in a highly endangered species that had beaten enormous odds to reach this age. 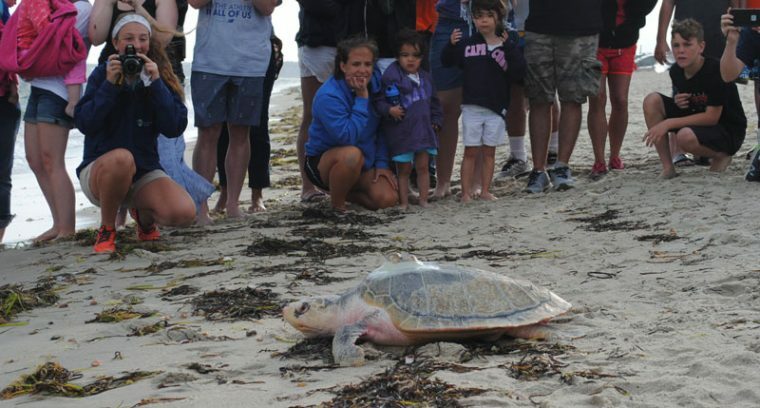 Sometime in the next few years, Merigo hopes to get a call from Mexican sea turtle biologists informing her that this particulr turtle was found nesting on one of the beaches there. 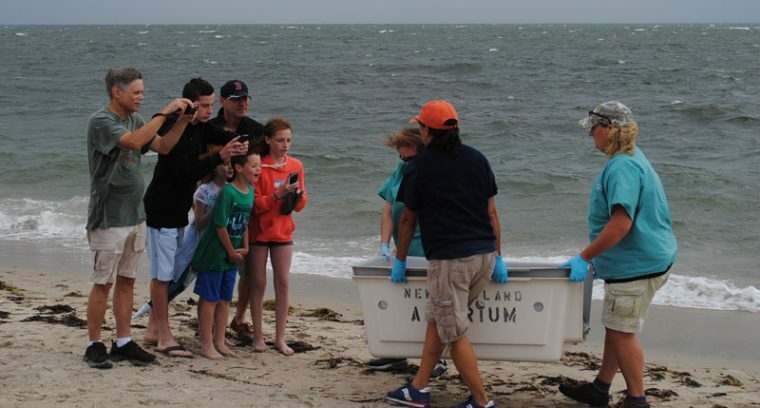 This Kemp’s was among the last of the more than 300 live sea turtles that the New England Aquarium treated from the cold stunning event that occurred last November and December on Cape Cod.